I am grateful for Lemurs. They are such wonderful creatures. Besides snakes they are my favorite animals. They are so cute, curious and animating. I am so grateful for the beautiful animals they are, but I am also so amazed for what they represent for me. From the moment I started this blog, I have been blessed with the most incredible opportunities. I have literally seen dreams come true. And today was just another example of that amazing power. Before I left for Mexico I was at home with my mom for a few days and she asked me what place I would still like to visit. My response, no kidding, was Madagascar, because I would’ve love to see the beauty of the country as well as the grace of lemurs in their natural habitat. I had obviously seen lemurs in a zoo, but that is nothing compared to animals in the wild. This counts for any animal. They should all be in the wild. Whoever came up with the idea of putting them in cages for our enjoyment should be put in a cage themselves. Anyway, I would love to just observe Lemurs being Lemurs. 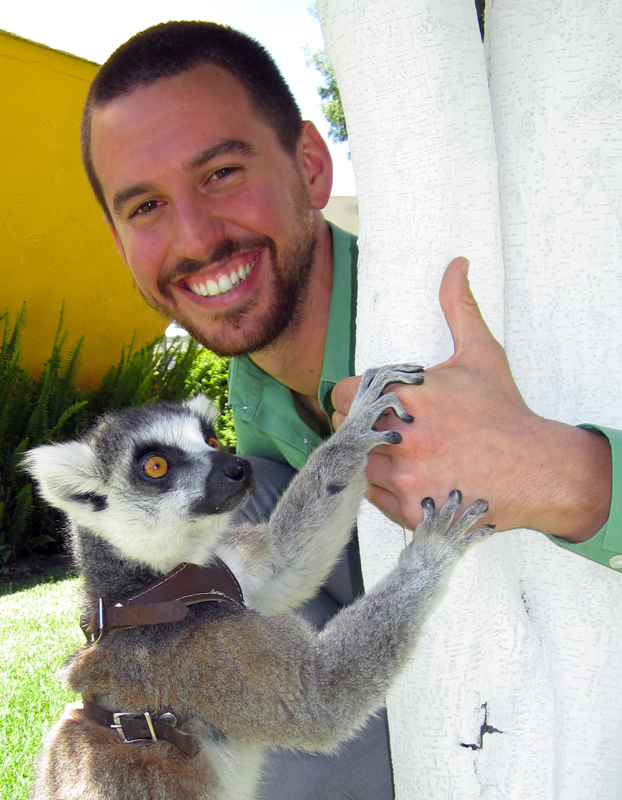 So today, out of nowhere, I was in a meeting in Mexico, when the person I was having a meeting with asked me: “Would you like to see the lemur that is with us today?” The school where I was at had an organization as visitors that taught people, mostly students, about endangered species and how we could help out. They had with them this beautiful Lemur and a way to take care of it and all its friend and families, is by letting people take pictures with it and have them pay for it. All this money goes to their project of making people aware of how they can help out as well as taking care of the animals they save from dangerous situations. I obviously couldn’t resist spending some time with this remarkable animal and I am so happy to have this picture as a beautiful memory of another dream come true.